THE YOGA MINIBOOK SERIES RENEWAL VIDEO SET features three books in the bestselling Yoga Minibook Series: THE YOGA MINIBOOK FOR STRESS RELIEF, THE YOGA MINIBOOK FOR ENERGY AND STRENGTH, and THE YOGA MINIBOOK FOR LONGEVITY. This much anticipated edition includes updated bonus extras like Elaine's yoga video tutorials and latest yoga research articles. Add years to your life with THE YOGA MINIBOOK FOR LONGEVITY. Second in the Yoga Minibook series, THE YOGA MINIBOOK FOR LONGEVITY is the ultimate fitness guide for everyone who wants to live longer, keep fit, and improve the quality of his or her life. 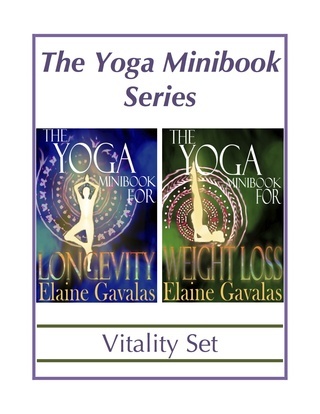 The new, expanded ebook edition of THE YOGA MINIBOOK FOR LONGEVITY contains exclusive bonus extras including Elaine's Yoga for Longevity Articles. In seven concise chapters full of illustrations, readers at every level of fitness will discover how yoga can help them feel younger, live longer, and relieve the discomfort of arthritis, back pain, and other physical ailments. Paying special attention to the physical constraints that can make other forms of exercises impossible or dangerous, Elaine Gavalas explains how to design and benefit from an effective, individualized yoga routine. * Relieve Arthritis, Back Pain, Osteoporosis, Menopause, Diminished Sexual Drive, Prostate Problems, and much more! The Yoga Minibook Series was written as self-help guides in response to people’s many fitness, diet and wellness problems, questions and concerns. Elaine's Ebook cookbooks, YOGI IN THE KITCHEN and SECRETS OF FAT-FREE GREEK COOKING are companions to The Yoga Minibook Series. "Only As Young As Your Spine Is Flexible! 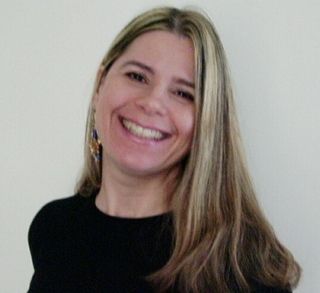 Natural health expert, author, exercise physiologist, nutritionist, yoga therapist and weight loss specialist, Elaine is your guide to healthy living.